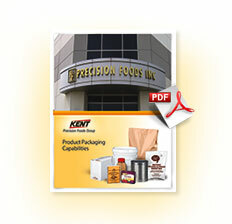 Kent Precision Foods Group customers may choose from metal or composite cans, with the latter available in both round and non-round styles. Can volumes range from 4 oz. to 3 lbs.